Measures 12-1050 yards, +/- 1y accuracy, intuitive display, scan mode and functions making it easy to capture the flag up to 220y (big targets up to 950m). 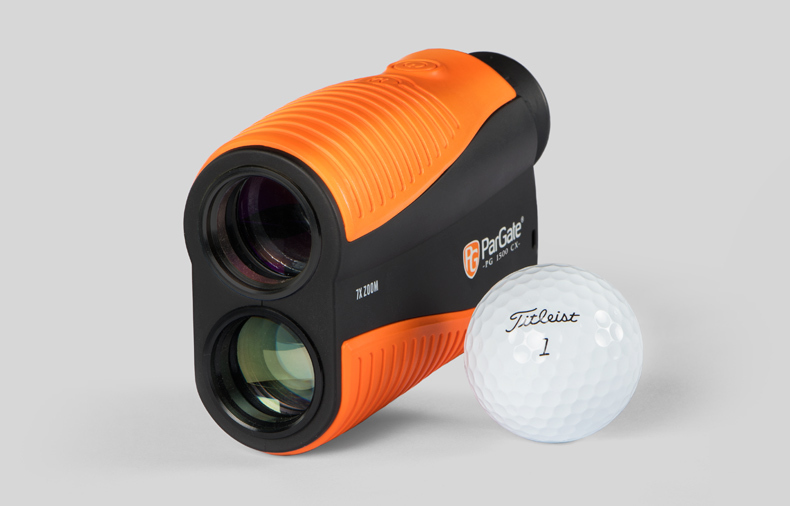 A perfect match for the mid hcp golfer (15-36) but still want a quality product. Value for money! 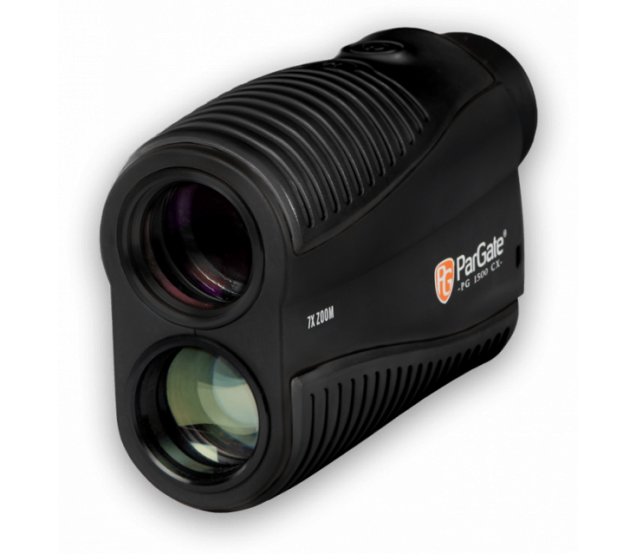 "ParGate PG 1500 CX - Great optics and are doing the job fast and effective." The PG 1500 CX can measure objects at distances up to 1050 yards. You easily catch the flag at about 220 yards. The optics is made of optical glass and give a magnification of 7 times. The PG 1500 CX is equipped with Smart Scan. Pressing the P button starts the measurement (SCAN mode). Aim and swipe over the target and a another press of the P button locks the distance to the shortest distance. Targetseek, Smart Scan Mode, adjustable focus, exclusive hardcover case and accessories. With a good range of 12-1045 yards and rapid scan feature this rangefinder is an excellent choice. Smart Scan is user-friendly and practical. Press Power to start measuring and you will get the distance to any target within the same measurement operation. 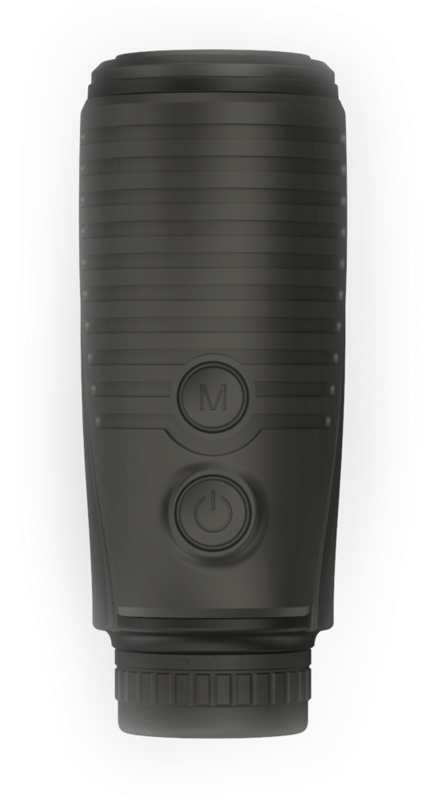 The SmartScan feature allows you to depress the power button once and simply just start measuring. Distances are calculated and displayed as the laser hits each target. There is no need to hold any button down or press again to get the shortest distance within the current measurement. Ergonomic, stylish design, a beautiful hardcover case, and practical accessory fastening strap, carabiner, belt loop and lens cloth all included. Switch on by pressing the power button once. Change the mode between SCAN and TARGET by pressing the mode button once. 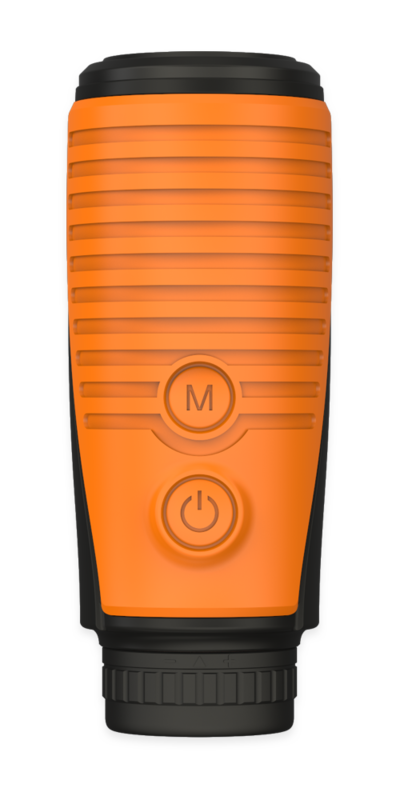 To toggle between metres and yards, depress and hold the mode button down for 3 seconds. Press the power button again to begin measuring. There is NO off button; the rangefinder automatically shuts down after being idle for 25 seconds. NOTE: You cannot change the mode or switch between metres and yards during a measurement. SCAN will be visible in the display when the rangefinder is in scanning mode. SCAN means that as you pan across your target each distance measured will instantly appear. Depress once more to activate SMARTSCAN and it will lock onto the shortest distance measured, i.e. the flag. Whilst measuring, the dashes in the middle of the display flicker and the light quality will be indicated by dashes around the left side of the display.